ISSUE #63 – Companies are sitting up and taking note that the workplace is changing. 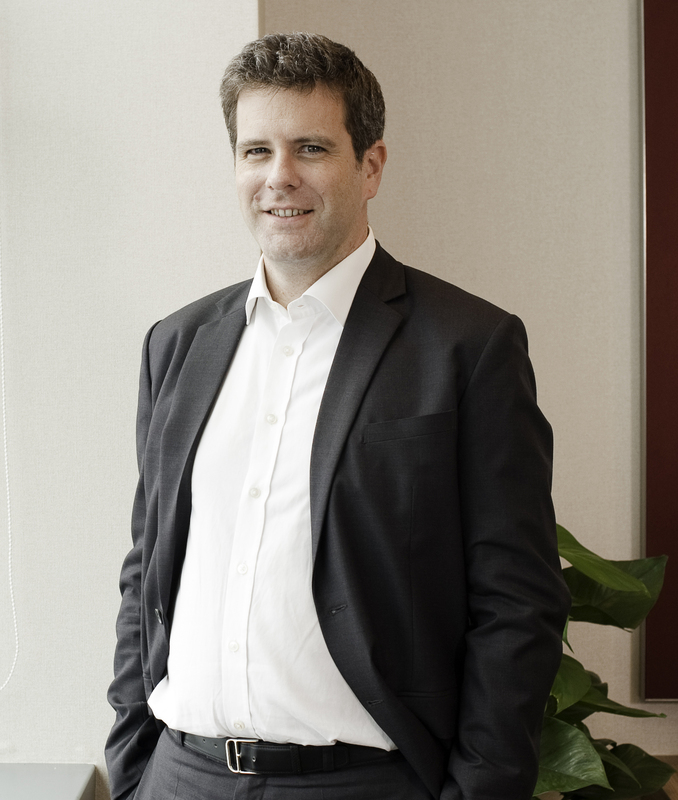 Aurelien Sonet, Asia Pacific (APAC) Regional Chair at Sodexo shares with us some of the trends outlined in Sodexo’s recently released Global Workplace Trends Report 2017. Could you share with us how this report came about? Sodexo is a world leader in services that improve quality of life. Through a combination of onsite services, benefits and rewards services, and personal and home services, Sodexo serves 75 million consumers each day and our employees contribute daily to the workplace experience of more than 10,000 companies in 80 countries, in a diverse range of industries and work environments. In Singapore, Sodexo has a strong integrated facilities management business serving segments including education, healthcare, energy and resources, and corporate services. Having a front-row seat to seeing and understanding the factors that will shape the workplace of the future, this Report is founded on the insights of Sodexo experts, but it also draws on external expert knowledge and experience – nearly 50 experts from academic institutions, associations, consultancies, foundations, NGOs, research groups, think tanks and more. 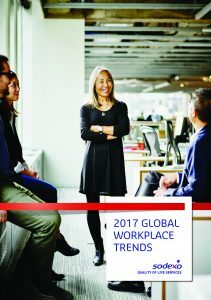 The result is ten global workplace trends that help us understand how and in which direction the workplace is evolving and what the implications are for individuals and organisations. Having a front-row seat to seeing and understanding the factors that will shape the workplace of the future, this Report is founded on the insights of Sodexo experts, but it also draws on external expert knowledge and experience. The world is evolving rapidly and it impacts our individual understanding of quality of life, which we believe is an essential factor in individual and organisational performance. When placed in positive environments, people are more fulfilled and go on to become capable of transforming challenges into opportunities. This Report, much like our other engagements – conferences, a Quality of Life Observer website – is an opportunity to explore and better understand the future of quality of life at work. In today’s competitive economy, talent development has become a priority for many companies and countries. Any interesting finding on learning at the workplace? Worldwide, people are enjoying longer, healthier lives, and as we stay healthier longer, we stay longer in the workforce too. 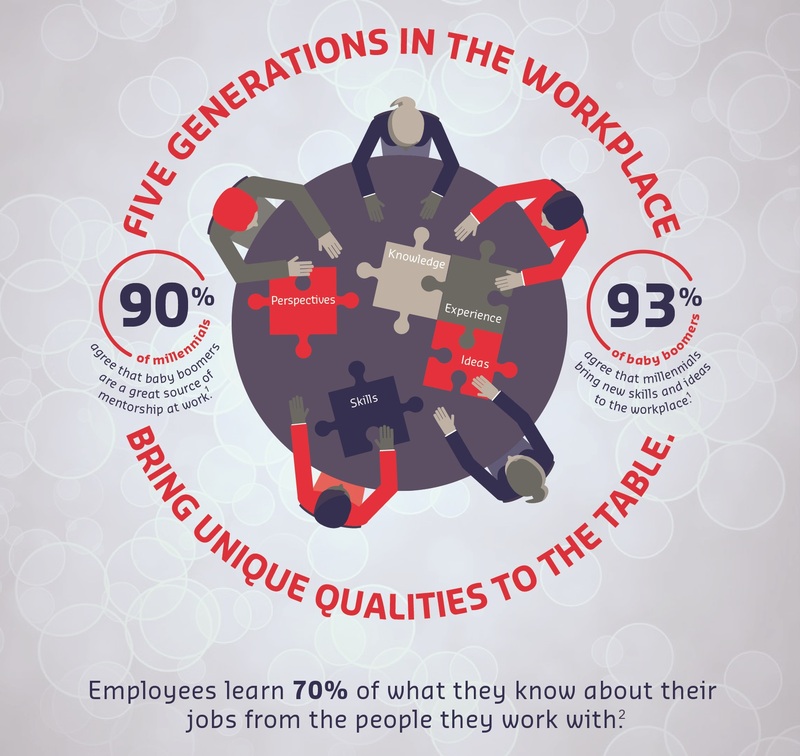 Today’s workforce spans five generations, and this is forcing companies to think differently about hierarchical and traditional employee learning. One of the trends explored in the report is intergenerational learning, something companies can catalyse as a new source of competitive advantage: encouraging workers of all ages to draw from to one another, giving them opportunities to develop nonlinear work lives and establish more dynamic careers. In fact, Sodexo has a pilot programme, the Digital Coaching Program, where senior leaders undergo an internship programme in Paris alongside younger colleagues. Older adults bring analytical skills honed throughout their life and work experience, well-developed interpersonal and communication skills, insights and expertise, while younger colleagues share new perspectives and also new skills including in social media and digital media. This programme has been very well-received, regarded as an eye-opening and value-adding experience. On the topic of the future workforce, how would you characterise the millennial generation? What are the strengths and expectations of this generation? There certainly exists a certain stereotype associated with this generation. Among other things, it has been labelled the “job-hopping generation”. But experts tell us that the turnover rates are not very different from Gen Xers, although they note that there is nonetheless something fundamentally different about the millennial generation. Also, it currently represents the largest share (32%) of the labour market, a percentage that is bound to grow, so employers would do well to engage millennials behaviourally and emotionally. Millennials are generally forthright and honest and they favour a highly collaborative approach. Millennials are generally forthright and honest and they favour a highly collaborative approach. They are motivated by human contact and experiences and they thrive in environments that offer meaningful relationships. They can be insatiable in regards to receiving feedback, because they have understood that only by receiving feedback can they be at the top of their game. For managers, this means that ongoing performance discussions might be more favourable than traditional quarterly reviews for instance, which can be useful because it creates opportunity for more agile course correction. The desire for workplace flexibility or mobility is a large overall trend here. The desire for workplace flexibility or mobility is a large overall trend here. A study conducted by subject expert Dan Schawbel found that only 34% of companies offer work flexibility, and that while it is indeed something that all generations ask for, it is a priority for millennials. Many organisations are coming around to the idea, and they are looking for different customised approaches to allow employees greater, more personalised options for benefits that address different stages of life. Through our experience in internship programmes for instance, we find that millennials do pick up skills and knowledge quickly indeed, and it is impressive how they are able to present ideas and speak with senior leaders with confidence. They do want to be better prepared for leadership roles, and Sodexo looks for different ways to engage them and create new experiences, through talent development programmes, mentorship programmes, cross-functional training — mobility not just upwards but laterally — and also opportunities for geographic relocation. There is no simple formula to this but how can organisations foster innovation at the workplace? Many organisations are looking to spur and accelerate innovation and the workplace is indeed one place to start. One of the important trends noted in the report is structuring environments so that employees can generate new ideas by virtue of interacting across boundaries, encouraging what we call cross-pollination. “The most fruitful collaborations are often the result of the most unexpected encounters,” subject matter expert Frédéric Chevalier explains. The most fruitful collaborations are often the result of the most unexpected encounters. This means creating places and programmes where people from different teams can collide and bond, be that hackathons or simply a physical space that funnels people into the same area. At Sodexo’s APAC regional headquarters in Singapore, the office space is an open plan, designed with many common areas that invite employees to get together, chat and exchange ideas. In terms of work space configuration, there are no assigned desks nor cubicles, and each employee sits beside a different neighbour daily. This means that they are working with and alongside different people daily, peers and senior management, and this encourages lateral thinking and cross-pollination across disciplines. Collaboration and co-creation are also increasingly central to creating customer value. Collaboration and co-creation are also increasingly central to creating customer value, where companies collaborate with suppliers, distributors and customers to co-create unique value, moving away from a static, one-way broadcast operational model. 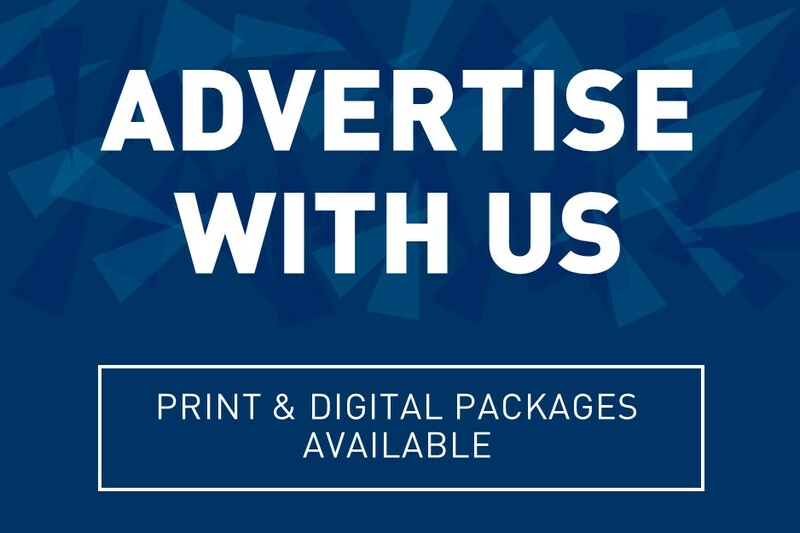 While Sodexo’s services are traditionally B2B, we are increasingly reaching people in a qualitative manner, and co-creation enables us to put consumers at the heart of our services and shape the way we offer solutions. Last year, Sodexo launched the eNOVchallenge, its global innovation contest where we invited people to form teams and submit ideas on improving an existing service, or create an entirely new one – ideas that would have an impact on the quality of life of our consumers. The teams were to be cross-functional, and the ideas eventually went through a panel, following which the winning idea would be prototyped and developed. There are many approaches organisations can take to foster innovation and much of it begins in the workplace. Founded in 1966 by Pierre Bellon in Marseilles, France, Sodexo is now the worldwide leader in Quality of Life services. For over 50 years, we have developed unique expertise, backed by nearly 425,000 employees in 80 countries across the globe. 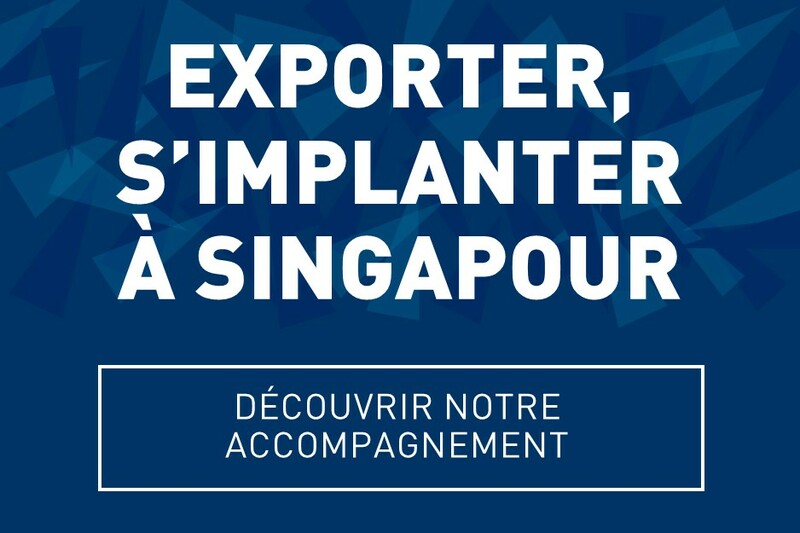 Read more about Sodexo on the French Chamber’s Smart Health platform.